In January 2010, I played in the Delhi International Grandmaster Open, my first major tournament. I was 10 years old and brimming with optimism and hope, having started playing chess a few months earlier on my visit to India. In the first round, I found myself playing 66-year old veteran Russian International Master, Boris Arkhangelsky. Russia had dominated the chess world until the emergence of Bobby Fischer, the greatest American chess player to date. Fischer single-handedly took on the Russians, eventually defeating Boris Spassky to become World Champion in 1972. Aware of the Russians reputation, I felt a blend of intimidation and awe when I sat down for the game. Akshat Chandra plays Boris Arkhangelsky in January 2010. As it turned out, the spirit of Fischer was with me as I completely outplayed Boris. My heart began pounding when I realized that I was moments away from winning. But suddenly, Boris unexpectedly offered me a draw. This perturbed me psychologically, and I began over-thinking what seemed like a simple and obvious decision – decline the offer since I had a totally winning position. Instead, I started thinking about how my opponent was a much more experienced and accomplished player, and may have seen something I didn’t. A bout of nervousness swept over me, as I sat there contemplating the offer. The self-confidence with which I had played the entire game began to recede, and my self-doubt led me to accept his draw. After the game, I was conflicted; I felt ecstatic I had drawn against an IM in my first game, but also disappointed for not continuing to play. Confidence and self-belief are two of the most valuable traits one can possess in any pursuit. These are the same traits that drove the 1980 U.S. Olympic hockey team to pull off the “Miracle on Ice” against the heavily favored Soviet Union team. The reason I wasn’t able to pull off a seemingly impossible result of my own was because I made the mistake of not trusting myself. 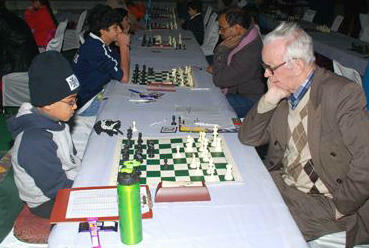 Akshat Chandra at the Chess Club and Scholastic Center of Saint Louis. My experience with Arkhangelsky taught me a valuable lesson – confidence and self-belief should never take a back seat. I lived this lesson during the 2013 North American Youth U-18 Championship, where I started dismally, losing two of the first three games. The possibility of winning the title was practically nonexistent. But, I believed I could still get the job done. This led me to pull off an amazing comeback as I won my remaining six games and the gold medal. It was my “Miracle” moment. This unwavering belief in myself has now brought me to St. Louis, having convinced my family to let me pursue chess professionally. My family relocated, after 25 years in the New York area, in search of the critical training, support and sponsorship to advance my career. The relocation has been auspicious, as I accomplished my final Grandmaster requirement at the 2016 Saint Louis Autumn Invitational at the Saint Louis Chess Club - a fitting place to earn the right to be called a Grandmaster. Immortal Olympic runner Wilma Rudolph once said, “I believe in me more than anything in this world.” I’m hoping to continue living her words and go as far as she did. 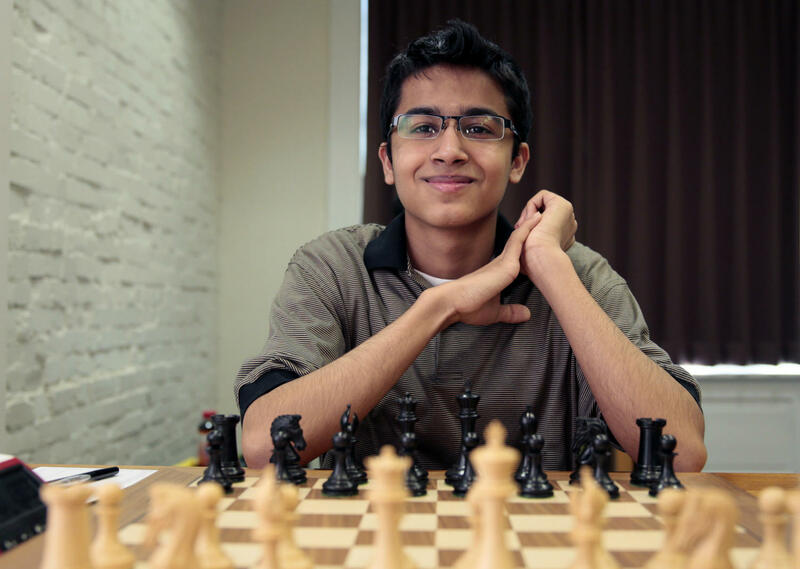 Akshat Chandra is a 17-year-old Grandmaster who recorded one of the fastest rises in the history of chess. He was the 2015 U.S. Junior Chess Champion as well as the National High School Champion, and is the highest ranked Junior Rapid player in the U.S. Earlier this month, Akshat achieved his Grandmaster title at the 2016 Saint Louis Autumn Invitational. More can be learned on Akshat’s blog QuestToGM.com. The explosion of chess in St. Louis goes beyond the Chess Campus that sits on the corner of Euclid and Maryland in the Central West End. The great achievements of the World Chess Hall of Fame and the Chess Club and Scholastic Center of Saint Louis are numerous, but with the increasing demand around the country for collegiate chess, Saint Louis University has stepped up to the plate. The newly minted program at SLU seeks to become the best in the country, a title already held by another St. Louis college: Webster University. Only four players are currently on scholarship on the SLU roster, but their achievements are impressive.